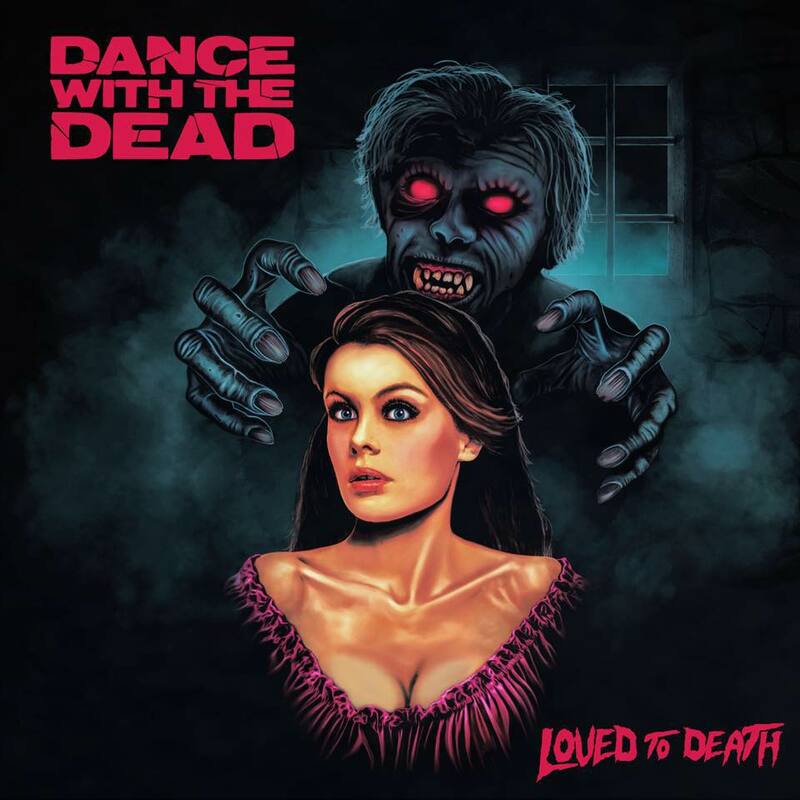 We were lucky to have a chat with American musicians Justin Pointer and Tony Kim aka Dance with the Dead. In an exclusive interview for our website, the two Synthwave pillars expressed their love of Metal, horror movies and video games. They also explained how they work together and their creative process. They also revealed who the creators of their artwork are, their experience with record labels and much more we invite you to discover. Enjoy the read and don’t forget to Dance with the Dead! Retro Synthwave: Can you introduce yourselves to the Synthwave, Darksynth and Metal fans that we are? 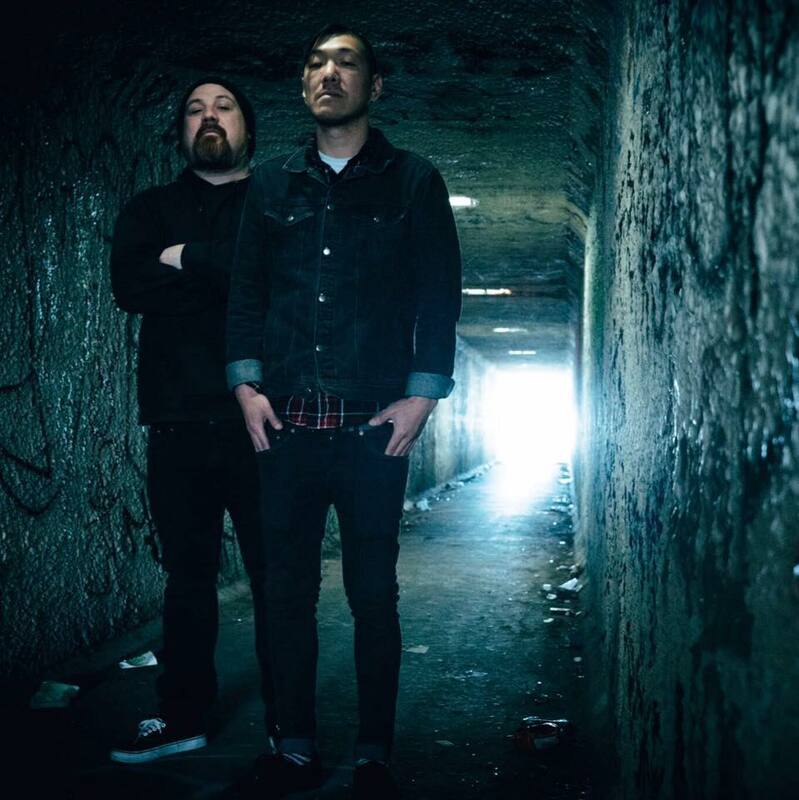 Dance with the Dead: We are Justin Pointer and Tony Kim from Orange County, California. What can you tell us about your stage name? Zombie fans? We are definitely fans of the horror genre which of course includes Zombies. 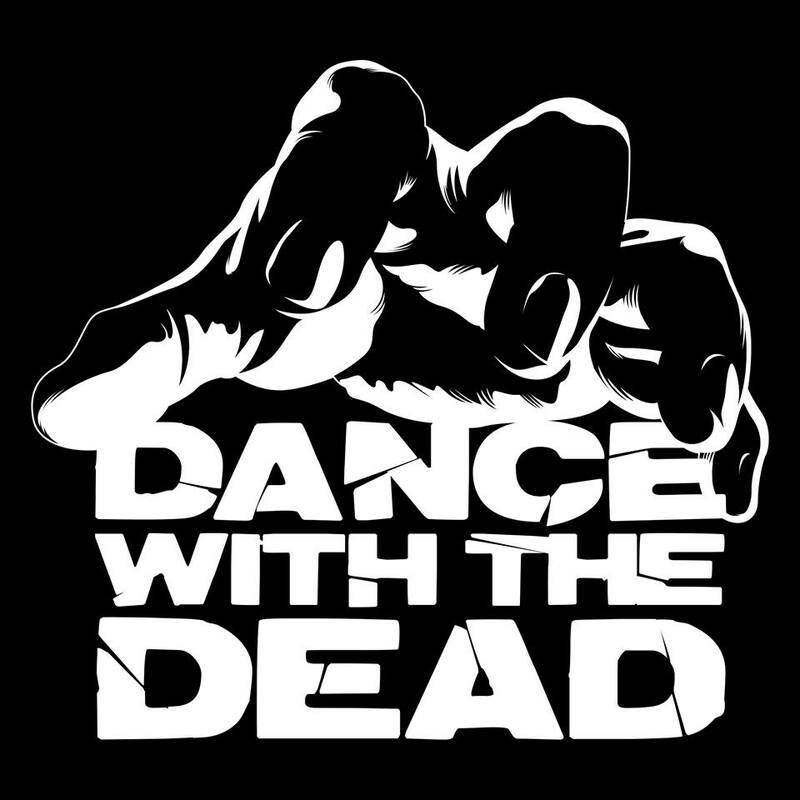 Tony came up with the name “Dance with the Dead” as a working song title when we were just starting out. We didnt have a name at the time and I just suggested we use it. It seemed to work given that we love horror, metal, and dance music. Do you have any special musical background that made you Darksynth icons? We never set out to specifically write any particular kind of music, and we still don’t. We just love everything from Metal to Movie Scores to EDM to Motown. I think our love of horror and sci fi movies has helped sculpt our music to a more darker sound. So can you name a few 70’s & 80’s horror movies that you like? Some of our favorite movies include: The Exorcist, Christine, Creepshow, Trick or Treat, Manhunter, The Fly, Dawn of the Dead, Return of the Living Dead, House on Haunted Hill, The Thing, Fright Night, Halloween, Assault on Precinct 13, The Evil Dead, Escape from New York, oh man, we could go on forever! You’ve made many remixes of tracks from tremendous bands like Queen, Metallica, The Rolling Stones and even Daft Punk, but also of film themes like The Gremlins and Freddy. Any particular reason concerning these films and these tracks? What are the next huge remixes? Alice Cooper…? We just like remixing songs with a different vision than the originals. We just do covers for fun really. We dont have any plans as of right now to do any more covers or remixes, but I’m sure we will in the future. Alice Cooper would be great! We’re huge fans of Kung Fury, what do you think of the forthcoming in-cinemas-sequel with such a legend like Schwarzenegger and the great M. Fassbender? We haven’t seen Kung Fury, so we can’t really comment on a sequel. Arnold is a legend, and Fassbender is an incredible actor. Good Hollywood movies are far and few between nowadays regardless of casting or directing. If it ends up being a good movie, thats cool, but it doesn’t sound like anything on our radar to watch. We can see on Discogs that you have released some LP/EP without Labels. is it a deliberate choice? Are you planning to create your own Label? That is true that we have never released anything on a label. We’ve talked with many labels in the past, however we couldn’t come to a proper agreement, thus we just self release our records. We currently have no plans to create our own label. How do you work during your creative process? It all starts with a riff that one of us will come up with. From there, we just work on it together in person or just email the session file back and forth until it’s something that we both agree 110% on. From there, when it starts becoming a song, we just try to find the correct sounds that help tell the story the song is trying to tell. What are your favorite DAW to produce music with? What are the machines that you usually use? We use Logic X exclusively. We are about 100% “in the box” when it comes to synthesizer sounds, meaning that we use soft synths. For guitars, we use ESP, Dean, Hamer, Ibanez, and Epiphone guitars. Do you like video games? If so, is it an influence for your music? We love video games! Some of our favorite games are Bioshock, Left for Dead, anything Star Wars, Outlast, Alien Isolation, Until Dawn, etc. I think games just like movies can have an influence on music making for sure. What about the video game for the which you were supposed to create the soundtrack? We completed the soundtrack for that game a few months ago. I’m not sure when the game is being released, but the music is ready to go. Concerning your next live shows, any cool little stories of your European Tour? Our live shows will be a surprise! We don’t really have any great stories from touring because it all happens so fast. It’s really just rushing to the airport, train station, tour bus, venue, etc. Unfortunately, we don’t really have too much time to sight see any of the cities we visit. Your artworks are absolutely fantastic, who are the illustrators who made them? Out of Body, Into the Abyss, Near Dark, Send the Signal, and The Shape were done by a Californian graphic designer by the name of Ruben Martinez. Our B-Sides:Volume 1 record as well as most of our merch designs were done by Mark Kosobucki. A few words about your next projects? What are you preparing and for when? We have a new full length record “Loved to Death” coming out in 8-14-18, the most energetic record we’ve made. We will also have a full USA fall tour, and Australian tour in December to round out 2018. Just looking forward to a lot of touring on our new record coming out!